Melasma is a common ailment among women in the 20-50 age band. Melasma is characterized by the appearance of tan, brown or greyish patches on the skin. It normally affects the jaw, cheeks and the central parts of the face. The causes of melasma include sun exposure, genetic predisposition or hormonal changes. The way to treat melasma is mostly through preventing sun exposure and also by topical treatments. Let’s see in detail the causes of melasma and what one needs to do for melasma treatment. Melasma is a skin ailment that is common among Hispanic, middle eastern and Asian women who have olive to darker colored skin tones. Melasma is the appearance of tan, brown or grey patches on the skin on the upper cheeks, jaw, forehead and chin. The causes of melasma can be genetic, sun exposure or hormonal changes. Since many pregnant women contract melasma, hormonal changes are considered to be one of the common causes of the skin condition. Estrogen and progesterone in the body stimulate the melanocytes in the body to produce more melanin when exposed to the sun. Thus, women living in regions where there is intense sun exposure are more prone to melasma. Use of birth control pills can also trigger melasma. Thyroid hormone imbalance also can cause melasma. Stress can also be one of the factors since stress can result in the overproduction of MSH or melanocyte stimulating hormone and cause dark patches in the skin. It could also be the result of one’s occupation – women working in a hot environments like bakeries also have been known to contract melasma. Is Melasma only restricted to the face? Rarely does one see cases of melasma occurring in other parts of the body. The hyperpigmentation is normally restricted to the face and the neck. Three common facial patterns of pigmentation have been identified- centrofacial which occurs in the center of the face, malar- pigmentation on the cheekbones and mandibular- pigmentation on the jawbone. The most common treatment is a lightening medication like 2% hydroquinone (HQ) creams such as Porcelena and Esoterica. 4% creams like NeoCutis Blanche, TriLuma and ObagiClear are also prescribed for certain severe conditions. Sunscreens with 4% HQ such as Glytone Skin Bleaching Sunvanish can also be used. Anything stronger than 2% HQ needs a prescription since they can sometimes irritate the skin. 2% HQ creams are safe to be purchased over the counter and used for lightening melasma. For more severe cases, HQ is prescribed in combination with non phenolic bleaching agents or kojic acid or glycolic acid. You would also need to use a broad spectrum sunscreen each time you step out, in addition to the hydroquinone treatment and continue the practice of using sunscreen even after melasma is cured. Regular usage of sunscreen and avoiding the sun accelerates the clearing of melasma. When it occurs in pregnant women, in most cases melasma automatically clears up after the birth. Other than these, you could also try natural remedies to treat melasma which are given below. 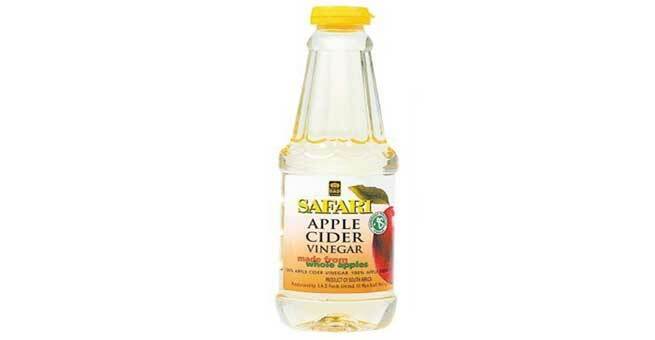 Apple Cider Vinegar – Mix equal parts of apple cider vinegar and water and store in a bottle. Dab this solution on your skin twice a day, leave for ten minutes and rinse off. Lemon Juice – Rub a slice of lime on your face or add lemon juice to your facial cleanser. Wash off with water. Do this three times a week for skin lightening. Onion Juice – Applying a mixture of grated onions with a few drops of vinegar is also a good skin lightening solution.